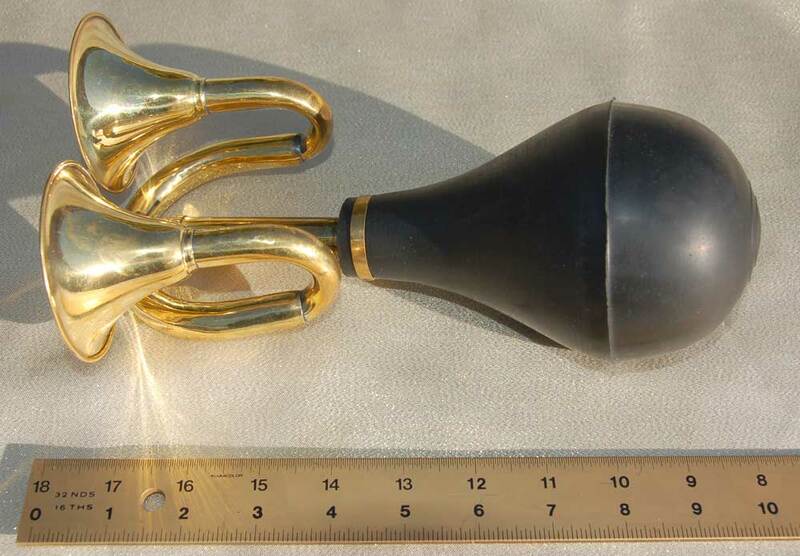 10 Inch Double Bell Brass Squeeze Horn Click photo for larger image. $35. Free US Shipping. Includes 1 attaching bracket. Note! 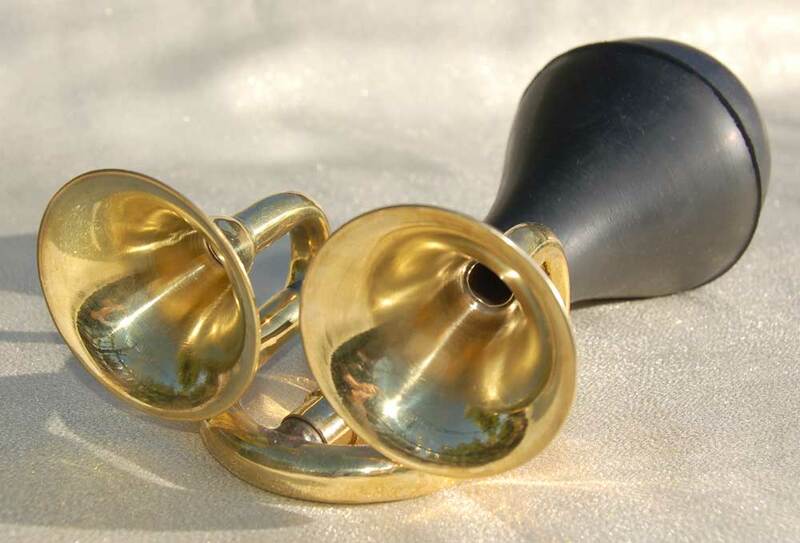 The wider diameter of this horn’s pipe means our stock attaching bracket will not work as designed. You’ll have to either invent your own method for attaching or possibly adapt the included attaching bracket.